Visit 29 Palms this Super Bowl Sunday! 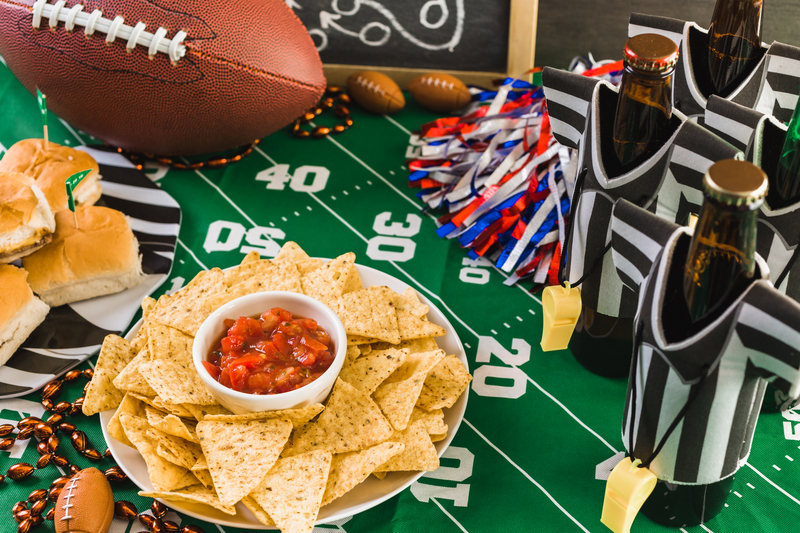 From big screen TV’s, food and beverage specials, raffles, and even a corn horn tournament, our sports bars and restaurants in 29 Palms are the place be for Super Bowl LIII. The party starts at noon with the Bowladium’s annual corn hole tournament, followed by their Super Bowl party starting at 3:30pm where patrons are treated to free hamburgers, hot dogs, and sides, and great drink specials for buckets of beer and cocktails. Arrive early to get a seat at the bar where you can watch the game on their 95-inch TV! If you’re looking for multiple big screens, Tortoise Rock Casino is your place to watch the game! Food and beverage specials will be offered all afternoon, including $2 hot dogs, $3 cheese nachos, and draft beer starting at $2. Watch the game from two big screen TV’s and enjoy happy hour pricing on drinks starting at 3:00pm! The Joshua Tree Restaurant and Bar will also be featuring a great Tapas menu which will include sliders, chicken wings, nachos, mini pizza, and more! Doors will open at noon, with food and beverage specials offered all day long! Watch the game from FANS collection of 8 big screen TV’s, and enjoy special deals on beer buckets, including $14 for a domestic bucket, and $20 for import buckets. Arrive early to get a good seat! With big screen TV’s throughout their restaurant, Edchada’s is a great place to watch the game! Enjoy food and beverage specials from 2:00pm – 8:00pm, including specials on carne asada nachos, hamburgers, and wings, and great deals on beer and margaritas! To learn more about all the great restaurants and bars in 29 Palms, visit our restaurant page!